Closing in on the end of August....time for new projects to start taking shape. CONTAINER ART at the PNE is up and running until September 5. Check out http://www.facebook.com/containerart for pictures and more details on the artists. FIRST SATURDAY OPEN STUDIOS is on Sept 3 and I will be part of that with my studio opening from noon to 5pm with several other artists. Check out http://www.facebook.com/event.php?eid=105967792814139 for list of artists and map. We will be handing in our final drawings for the SEVEN FOOT CROSS for Union Gospel Mission that Arnt and I are working on together. A BATHROOM AND KITCHEN store has asked me to come and meet them in order to create a couple of pieces for them. And finally the CRAWL work for November. Check out www.eastsideculturecrawl.com for details. 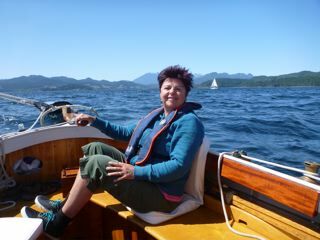 I also have a couple of FALL TRIPS planned...back to Tofino with Sharon, 108 Miles to visit my family, Santa Fe with a couple gal pals and then surfing in Mexico when it gets cold here! Wow so much for the lazy days of summer. I guess they will be over soon. I can't complain as I have had a WONDERFUL SUMMER with three trips to Tofino for boogie boarding, fantastic wedding in Courtenay of my nephew and new niece. 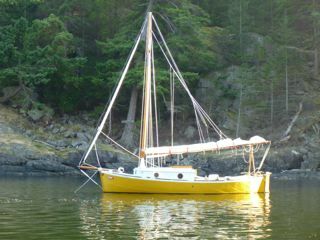 And an amazing sailing trip with Arnt and I on Odin and our best friends on another boat, Ern. 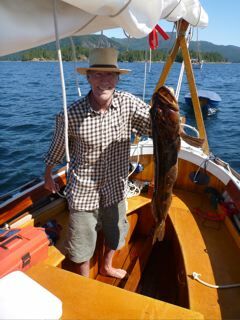 We ate lots of bounty from the sea including Arnt's 20 lb ling cod, crabs and clams. 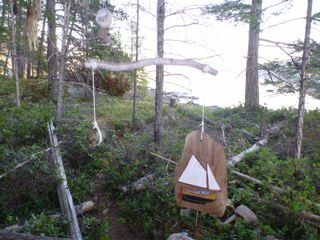 Even an art project in the Octopus Islands. 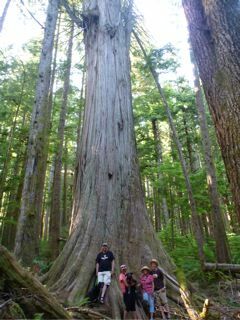 Lots of wonderful hikes to giant trees, swimming in turquoise lakes and refreshing dips in the ocean.